It was back to school this week for our sign fitting team. 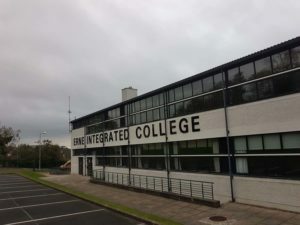 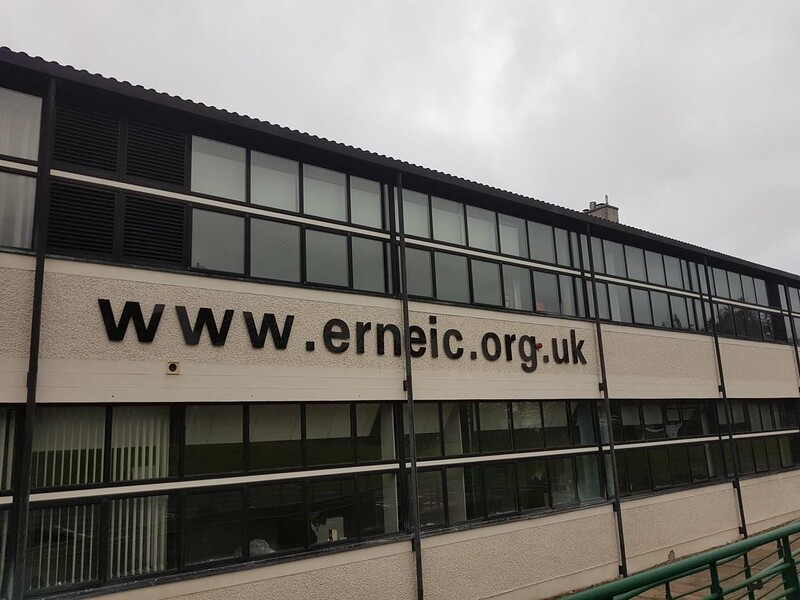 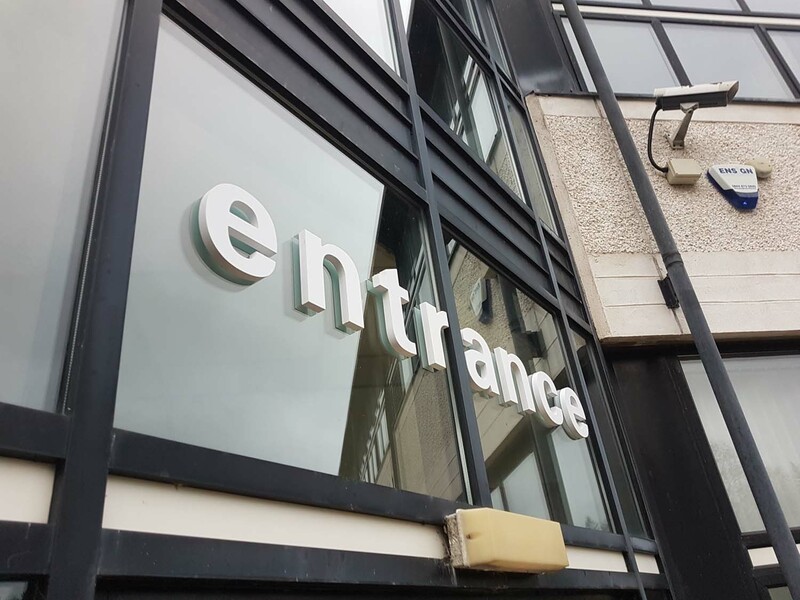 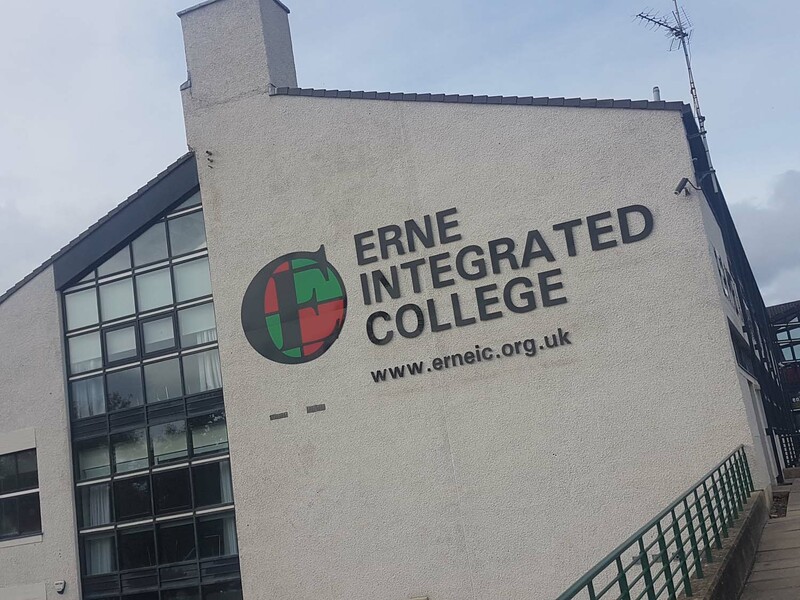 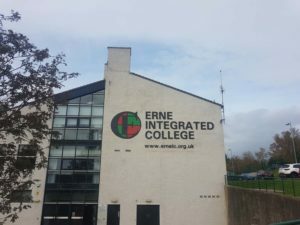 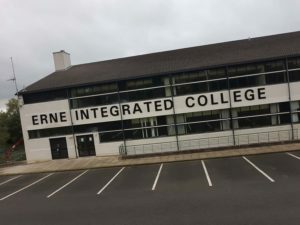 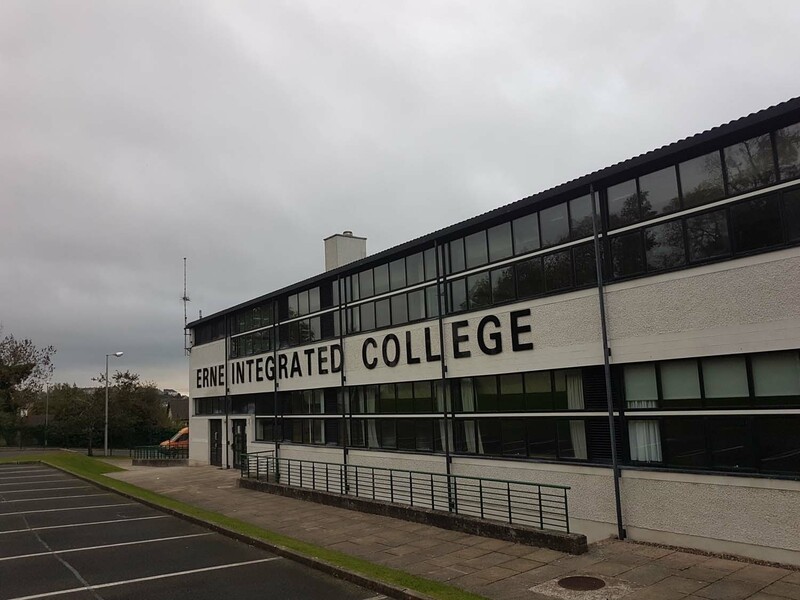 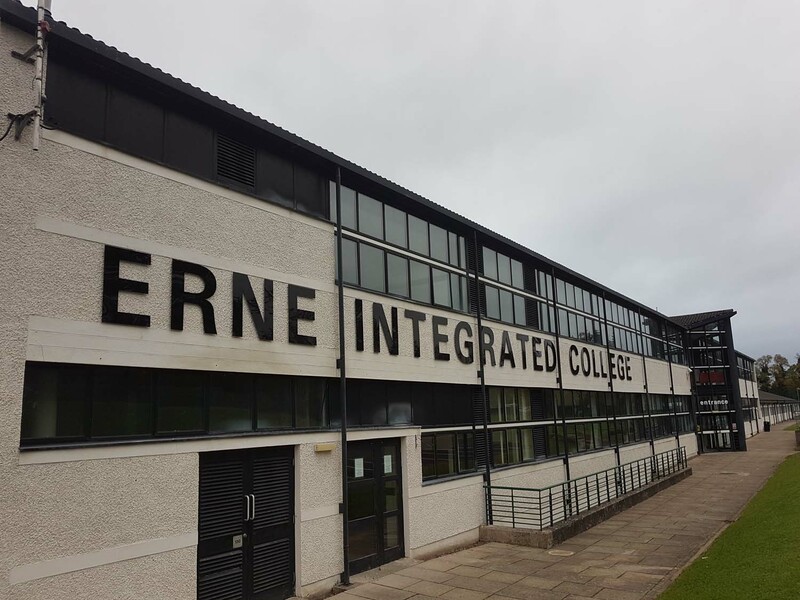 We were delighted to have been appointed to design and fit new fascia signage for Erne Integrated College in Enniskillen. 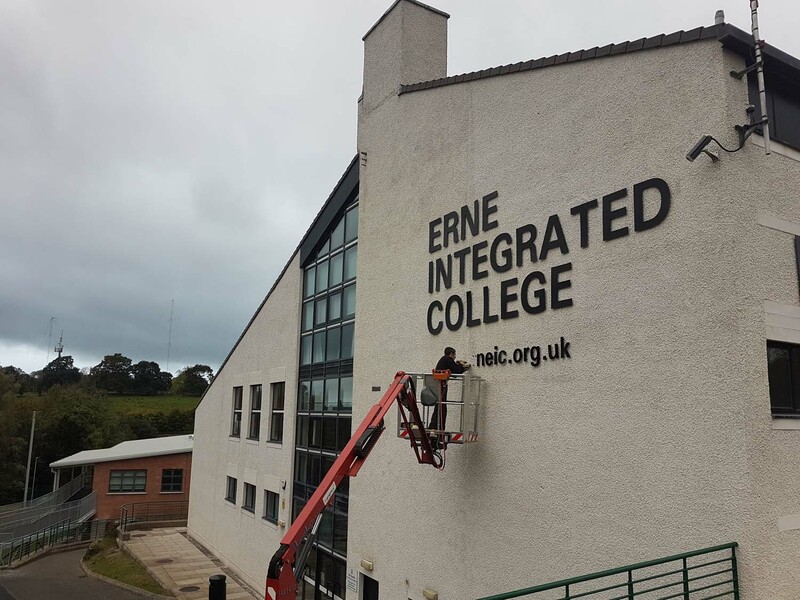 The signage consists of individual large black acrylic letters mounted on the front and gable walls as well as 19mm white PVC letters above the entrance doors and a copy of the school badge made from composite aluminium at an incredible 3 metres diameter and mounted on the gable wall. It was great to hear our fitters coming back with positive reports about how well behaved the students were, and what fantastic facilities they have at the college.